Here’s what’s happening in the world of television for Friday, May 18, and Saturday, May 19. All times are Eastern. 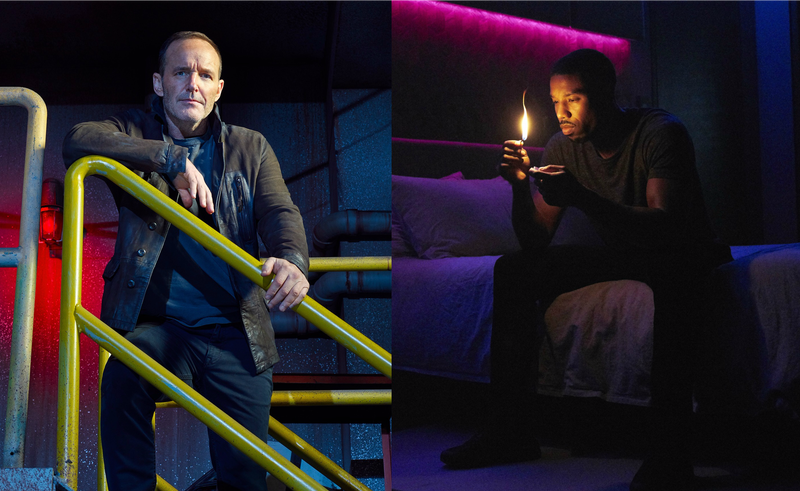 Marvel’s Agents Of S.H.I.E.L.D. (ABC, Friday, 9:01 p.m.): ABC renewed Agents Of S.H.I.E.L.D. earlier this week, which means the team will live to fight another season—but just what the team will look is still up in the air, thanks to Avengers: Infinity War and Agent Coulson’s (Clark Gregg) own struggle to cheat death (again). The title of tonight’s finale, “The End,” doesn’t sound very promising, but that won’t keep true believer Alex McLevy from weighing in on the season’s conclusion. Fahrenheit 451 (HBO, Saturday, 8 p.m.): Another day, another piece of dystopian fiction that hits a little too close to home. Michael B. Jordan and Michael Shannon star in Ramin Bahrani’s adaptation of the classic Ray Bradbury novel about censorship. Unfortunately, the film’s about as subtle as a flamethrower in its attempts to tie into the current political discourse, but Jordan and Shannon are both excellent, so it’s still worth your time. 13 Reasons Why (Netflix, Friday, 3:01 a.m.): The first season of this teen drama from Brian Yorkey courted controversy with its less than ideal treatment of suicide ideation, but it still made for compelling, if inconsistent, viewing. Based on Caroline Siede’s review of season two, 13 Reasons Why hasn’t really learned from its mistakes, instead “[doubling] down on drama, intrigue, and violence, to the point where it starts to feel like a po-faced version of Riverdale.” There is a genuine attempt at “grounded, serious exploration of heavy topics like suicide and sexual assault,” too, so let’s maybe split the difference and save this for the holiday weekend later this month.